Wake up with me on Wednesday mornings to drink coffee and make breakfast. I’ll let you know what ingredients you’re going to need the day before on my Facebook and Instagram. For our first breakfast together we’re making avocado toast. Now, I love a good breakfast spot, and one of my favorites is West Avenue Grill, a little place right next to my apartment. I’m all about the ambiance (and good food, of course), and this place has a homey feel on the inside. I also enjoy the months I can take advantage of their outdoor seating. Anyway, my breakfast spot is where I had avocado toast, with red pepper flakes and honey, for the first time. 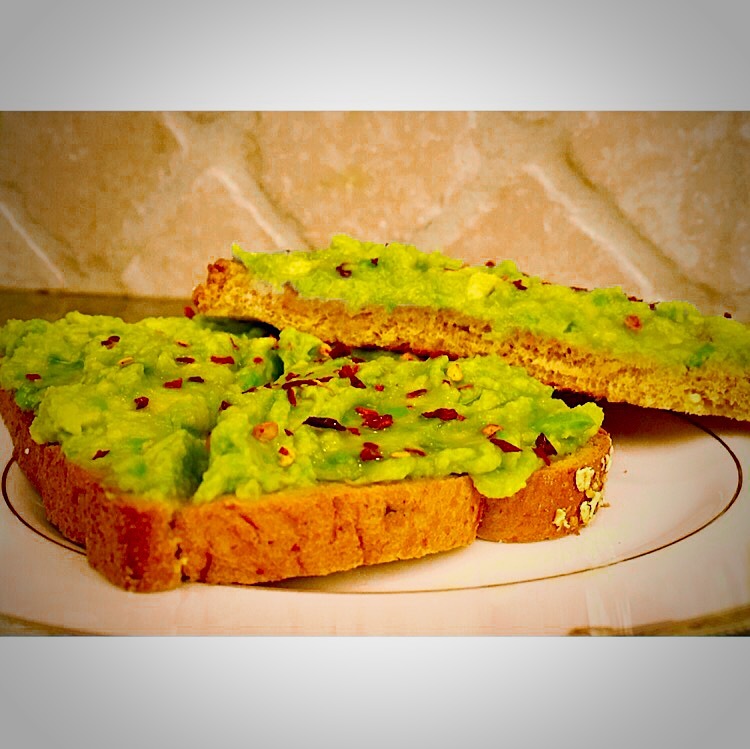 I was used to simply adding olive oil, salt and pepper to my avocados. I’m sure some of you can agree, having the same thing over and over again gets boring, and sometimes you have to switch it up. Adding the red pepper and honey to your toast will give it a lot more flavor. This has become one of my go-tos for a quick morning meal. 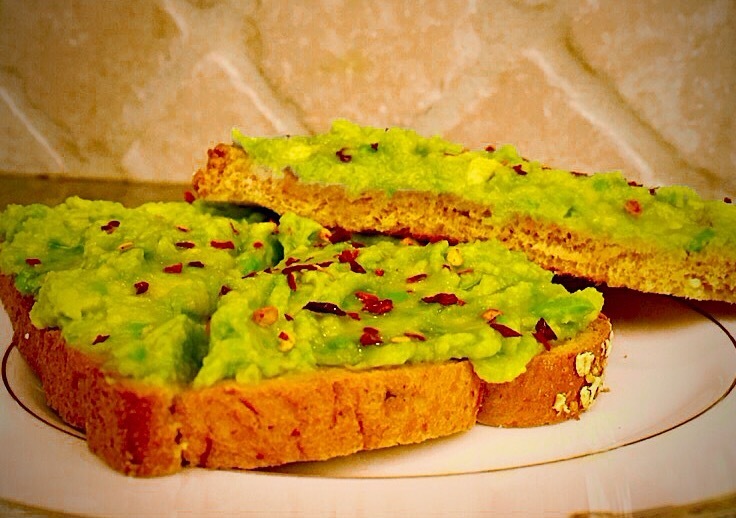 Spread the mashed avocado onto your toast, add the red pepper flakes, and drizzle some honey on the top. Avocados are a great source of antioxidants, vitamin C and E, which are all great for preventing acne, fine lines, and wrinkles. They also contain monounsaturated fatty acids, which help your skin contain moisture. I want to share my favorite quote with all of you…. I don’t know who originally said that, but my boss at my door to door job would say it all the time and it stuck with me. It motivates me because it reminds me that I can have anything I want. If I work hard enough, I will be successful. Next Do You Even Kale?